Tomorrow is the first day of September–Καλό μήνα, or happy [first day of the] month! Not to mention, happy (early) Church New Year! The beginning September also marks the start of a series within Time Eternal—here on the blog and the podcast. We’ll be embarking upon a year-long journey through the underpinnings of the Orthodox liturgical year. Discussion will be focused on the temporal aspects of the liturgical year and its various times. How does the ecclesiastical calendar work and why does it seem so complicated at times? What are the historical roots of the calendar and the holidays we celebrate as Orthodox Christians? How are the meanings of particular feast days reinforced by their temporal placement within the calendar? What are the challenges of living our lives in two (or more) different calendars at once—the civil calendar of our respective country, and the calendar of the church? That said, I could use some help from all of you. What do you want to hear about? Do you have questions about the calendar—things that have always seemed confusing or hard to follow? Any stories or learning experiences that involve the Church year? Your feedback will help make my posts and episodes as helpful, relevant and engaging as possible. I’d love to hear from you! Drop me a line here or check us out on Facebook. Where did all the time go? 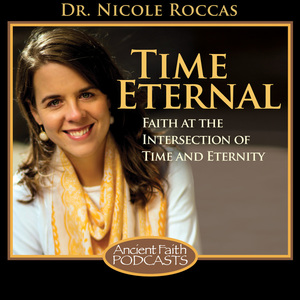 It seems I just listened to the latest podcast (about the Indiction, the church new year) from Dr. Rocas about these blogs, and now I am reading them! What I want to say with this list of recent thoughts is that I think it is easy to miss many important church days, or miss out on the preparation that we and our families can benefit from. We cannot and should not separate the church rhythm from our work/life/school but embrace them, and have the chance to be the shining light. That’s why I look forward to this series of blogs!